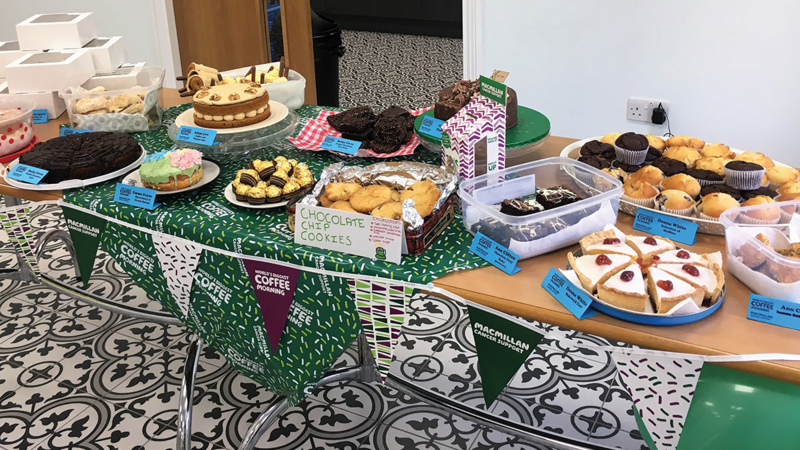 Members of staff at engineering firm Nylacast’s World Headquarters in Leicester recently took part in the world’s biggest coffee morning supporting cancer charity Macmillan’s fundraising event. Many of the team members and engineers turned into bakers, donating homemade delights to be bought and sold on the day of the event. Staff from across the business got together during their breaks to buy and taste some of the products, have a catch up and learn about the work of Macmillan in their fight against cancer. The World’s Biggest Coffee Morning is Macmillan’s biggest fundraising event for people facing cancer. People across the UK, including Nylacast, host their own Coffee Mornings and donations on the day are made to Macmillan. In 2016 over £29.5 million was raised. The first ever Coffee Morning took place in 1990 and it was a small affair with a simple idea that guests would gather over coffee and donate to the cost of their cuppa to Macmillan in the process. This has grown over the years with the charity raising over £165.5million in the process.